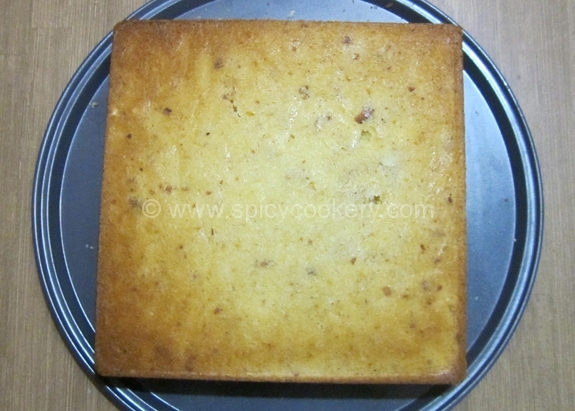 Lemon Drizzling Cake is a recipe brought by my cousin & we tried in my kitchen. The cake came out yummy…. 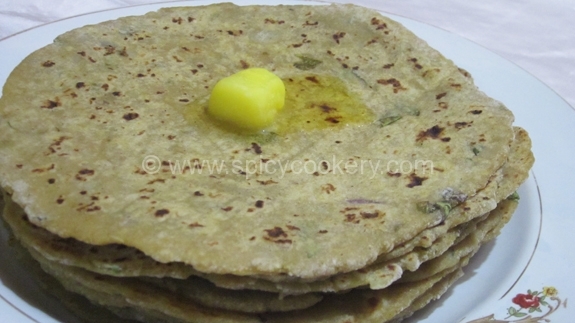 Soft, Fluffy, a little tangy & tasty are its specialties. 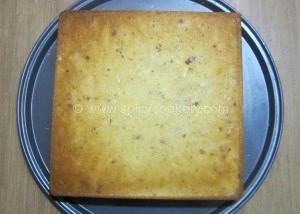 Lots of crushed almond gives an exotic taste to the cake. One more specialty of this cake is that the icing goes drizzled into the inner parts of cake which makes the cake much tastier. Heat the oven to 180 degree Celsius. Butter & line the base of Microwave tin roughly 17x8x10 cm. Sieve all-purpose flour, Baking soda & baking powder together into a deep bottom vessel. 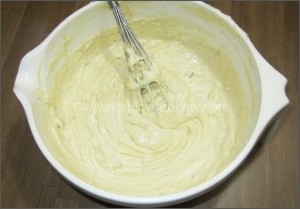 Beat the butter & caster sugar using an electric whisk or else with spatula until pale & creamy. Add the lemon zest & whisk the eggs little by little, beating well between each addition. Add sieved flour & crushed almonds into the cake mixture using a spatula. 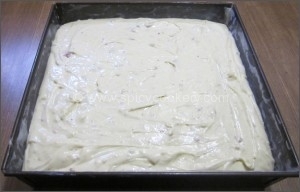 Nicely mix flour in the cake mixture. Add milk & mix the cake mixture in a clock wise direction. 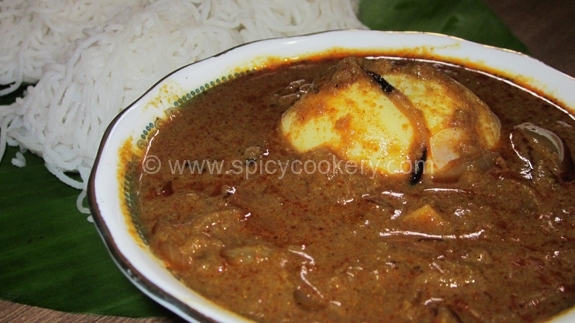 Add 2 tbsp of lemon juice & mix nicely. 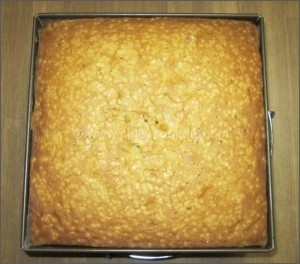 Insert a tooth pick into middle of the cake & check whether it comes out without any raw mix on it. Cool it for 10 minutes. Take a separate bowl &mix remaining lemon juice & icing sugar with butter. 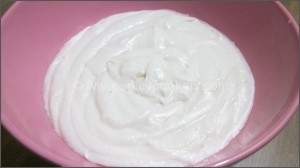 Nicely mix all the ingredients until cream is soft. 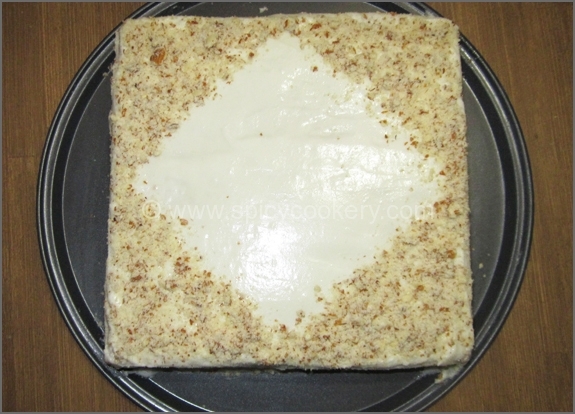 Remove cake from the cake tin & place it on a tray in upside down position. 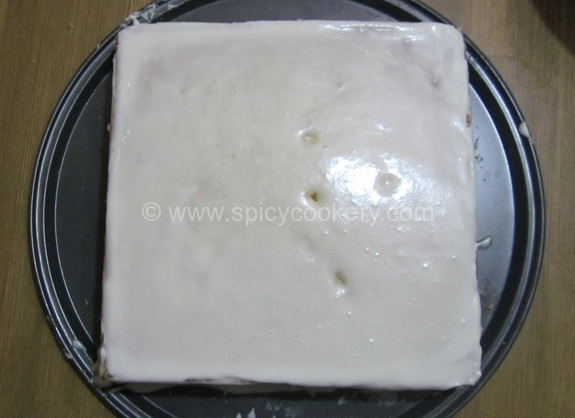 Cut upper base of the cake with a knife to make equal level. Poke a few holes into top of the cake with a tooth pick. Drizzle some of the icing over the cake. Cool in the tray for further 30mins. Lemon Drizzling cake is ready to serve. 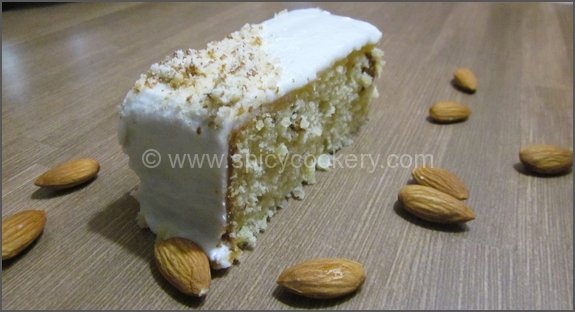 Dress the cake with Crushed almonds.